Well I've got quite a bit of work on JD done lately. 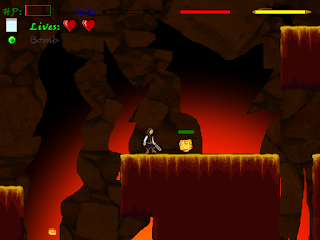 Mainly the level after the 2nd boss (Which is now implemented). Yea I have the 2nd boss done but not the first one. So much for doing things in order. 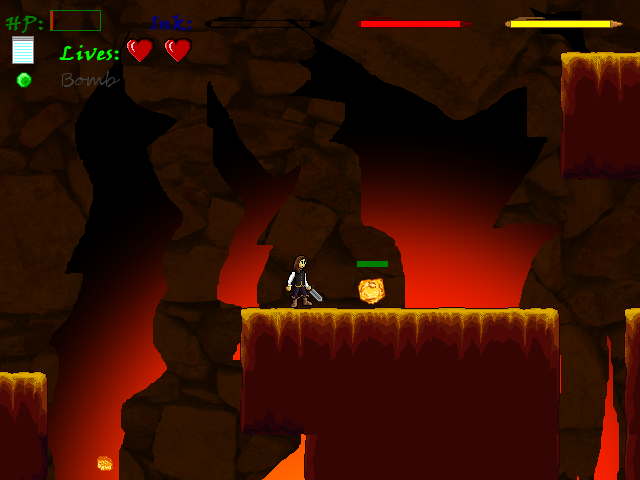 Anyway the second boss is a Rock Golem guarding the entrance to the caves. You have to beat him in order to enter. The actual first boss will be the pirate boss and will be a little more engaging and difficult then the golem. The golem is designed to be easy and simple to beat. (That doesn't mean he won't rock you if you are careful ^_^). 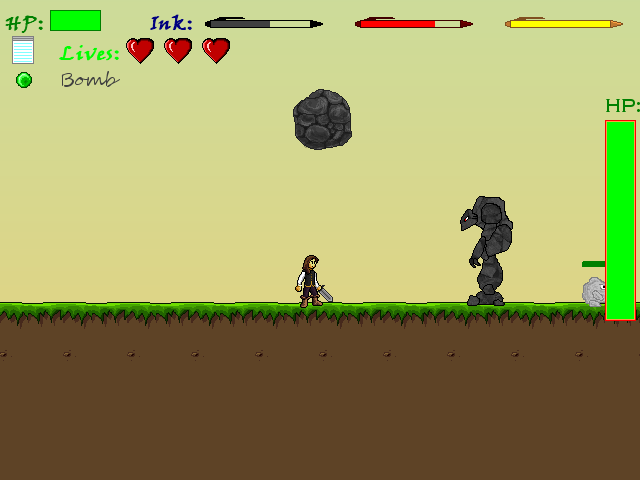 Screen shot 1: Here we see the rock golem summoning a large stone overhead. The stones fall and when they hit the ground they spawn new little rock monsters. 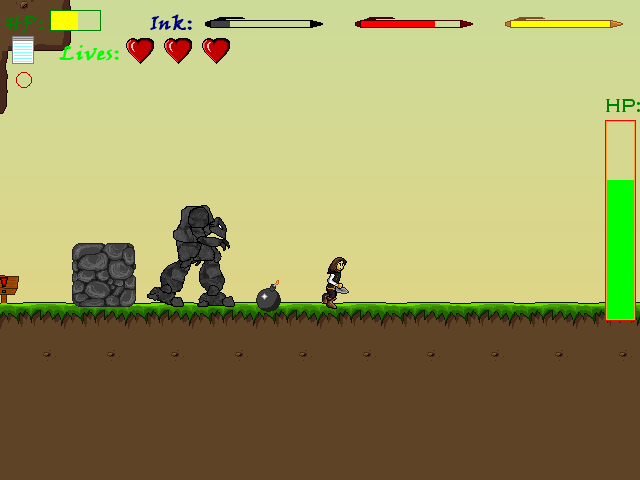 Screen shot 2: The golems skin is too tough to damage, but maybe something a little more powerful with a *pow* might be able to damage him. 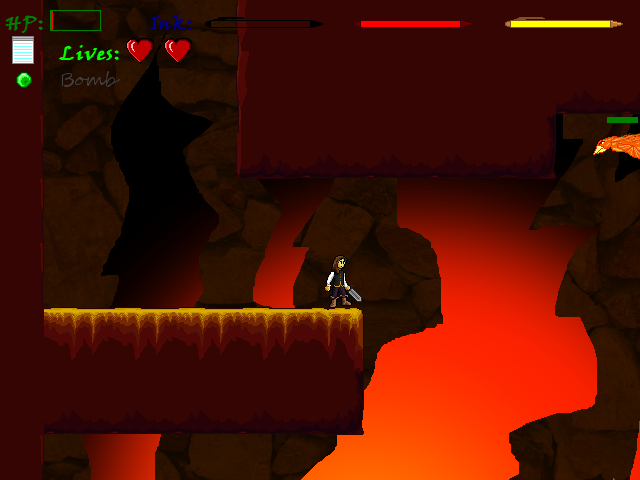 Screen shot 4: You have arrived in the caverns. *note* that isn't the final background i don't think, it's just something I made quickly to make it less bland. 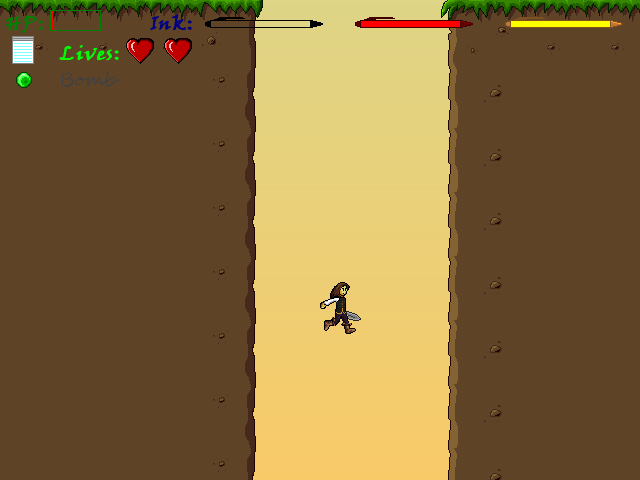 Screen shot 5: But beware the monsters! They seem like ones you've seen before, but they might have some new moves to throw at you. You can expect the new release of JD once we finish the first boss and polish a few things up in the initial areas. Also, I changed the story like up a little and at some point would like to change how it shows the text. This is on the to do list (which is a big un). Well, stay tuned for more exciting updates. Hopefully next time we'll have a release to go with the post, but for now keep checkin back for updates.